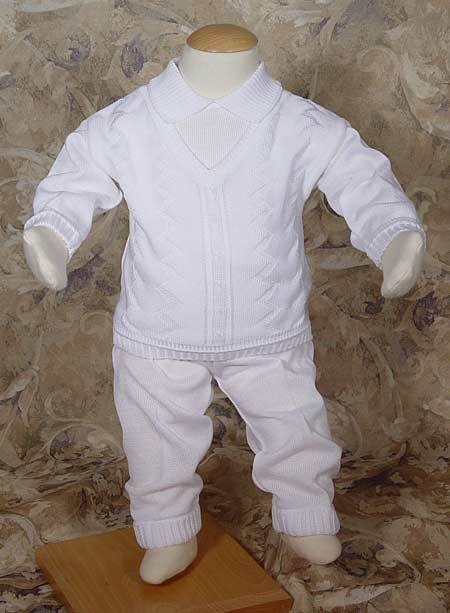 This is one of the most masculine yet baby looking Christening Sets possible. You get the look of a three piece set with a pant, top and vest but with the convenience of only having to put one piece over the baby's head. 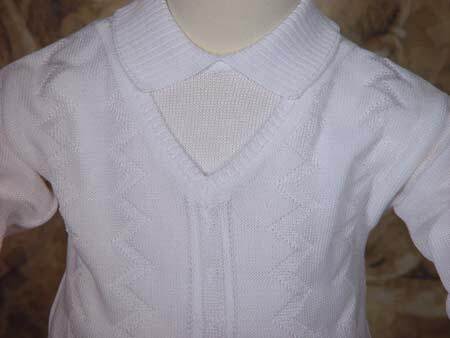 The 100% mercerized cotton knit is exquisitely finished to provide a soft, comfortable and stylish outfit. Heirloom Preservation Bag recommended for long-term storage.